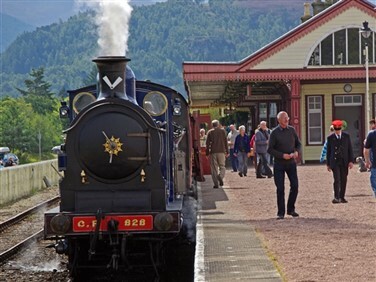 A delightful tour inspired by the BBC "Great Railway Journeys of the World" TV series which saw Michael Palin travelling through the spectacular Scottish Highlands to the Kyle of Lochalsh. 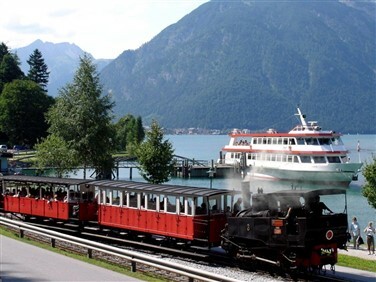 Includes the Great British Railway Journey along the Kyle of Lochalsh - the original "Great Railway Journey of the World" - just one of many great railway journeys you can enjoy "On Tour with Railtrail". 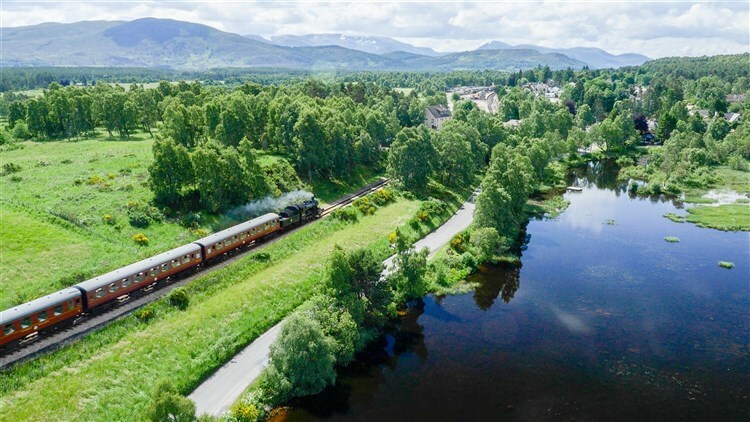 For those on our rail inclusive package the wonderfully picturesque Highland Line takes you through Perth, Pitlochry and over Cairngorm Mountains to Inverness and our hotel on the banks of River Ness. 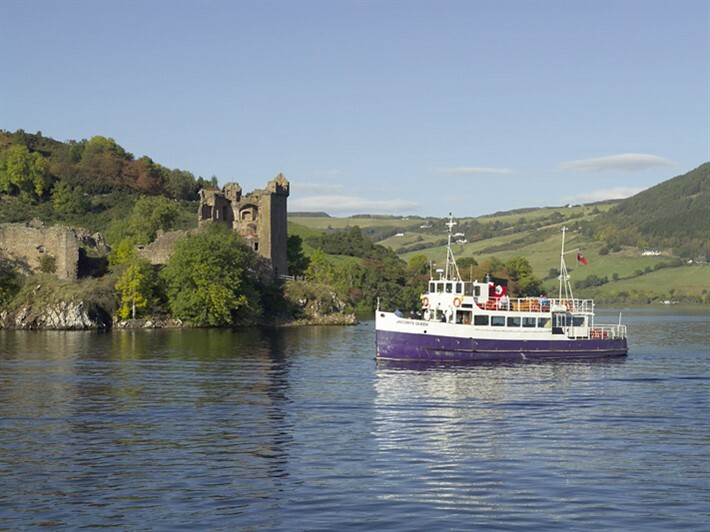 A relaxing morning of 'monster spotting' as we cruise along Loch Ness to Urquhart Castle. 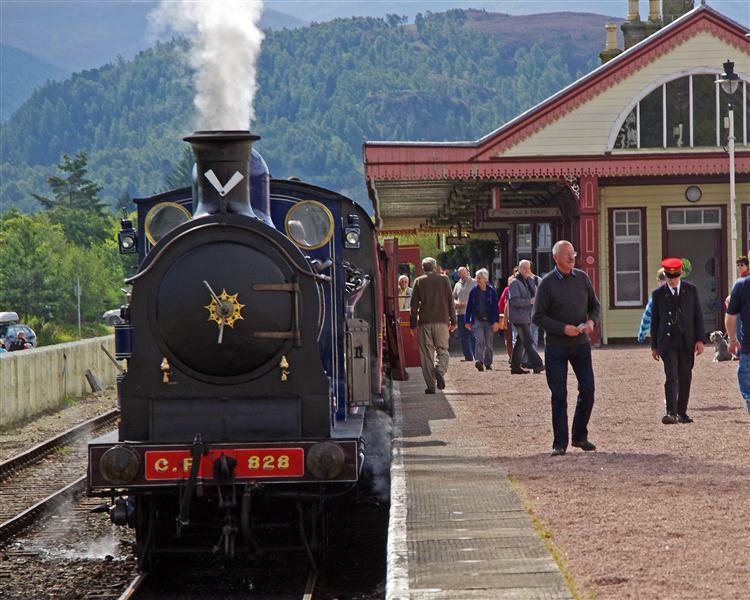 Explore the brooding ruins and take a lunch-break, before we continue along the lochside to Fort Augustus for a sightseeing break by the mighty Caledonian Canal waterway staircase. 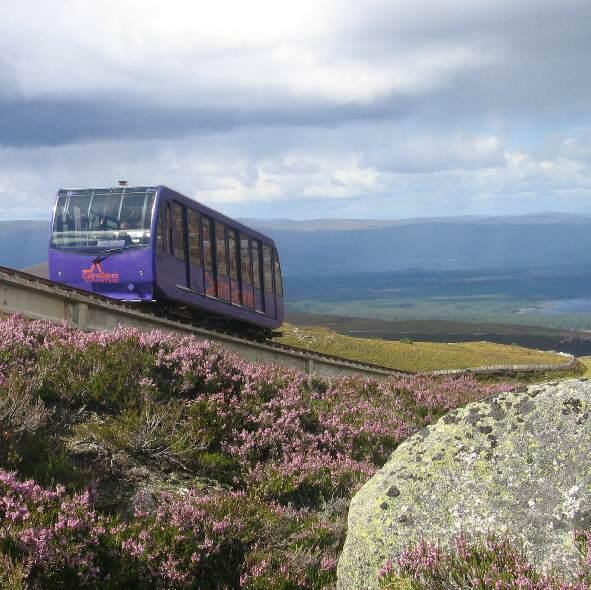 We complete our circular tour of the Loch, travelling along its southern high wilderness with magnificent vistas, before concluding a wonderful day with a visit to atmospheric, melancholy Culloden Battlefield. Touring Speyside including riding up the Cairngorm Funicular Railway to the summit of the mountain, a whiff of nostalgia on the Strathspey Steam Railway with refreshments served en route, then a truly enchanting visit to either Loch Garten's Osprey Centre to see the rare birds in the wild or Ballindalloch Castle, the Pearl of the North*. A free day to enjoy at leisure in Inverness, the capital of the Highlands, including the castle, cathedral, riverside walks and Victorian market. 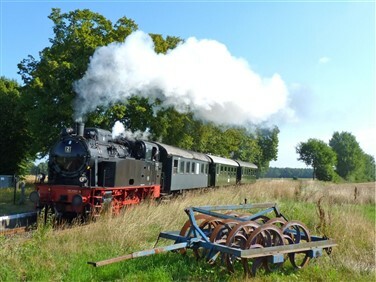 You may wish to take a dolphin cruise on the Moray Firth, or a full day excursion to experience the train journey along the Far North line through wild Caithness. 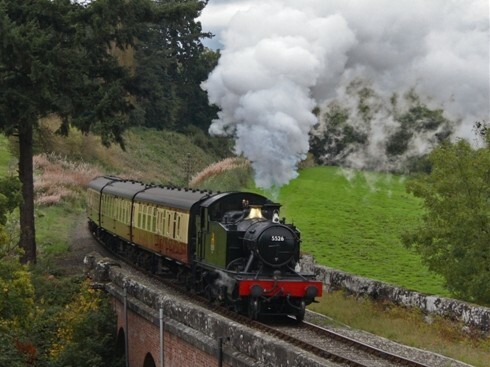 After breakfast we board the train for the journey of a lifetime, Scotland's Kyle Line. 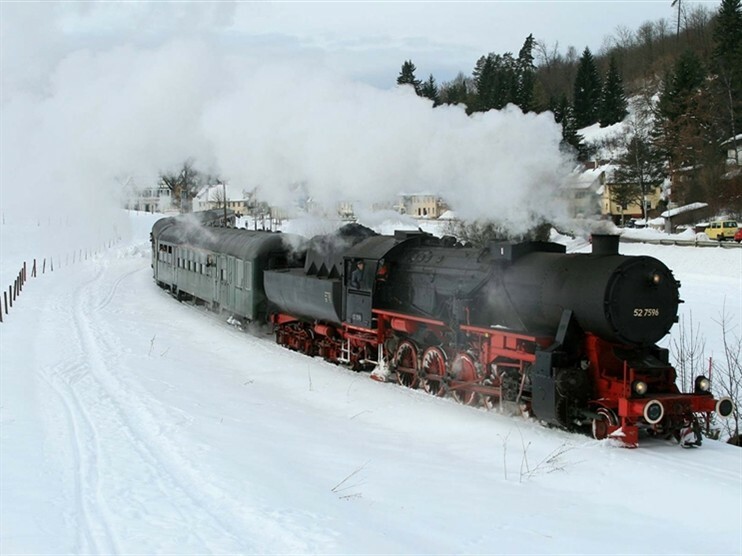 Simply one of the world's finest coast to coast rail adventures, it is a heady cocktail of dramatic scenery and romantic legend. 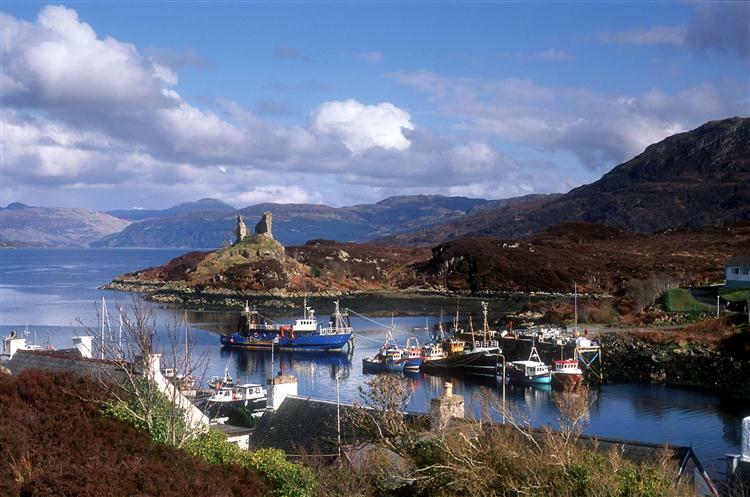 After crossing the great mountain plateaux and its wonderful vistas we arrive on the west coast at Kyle of Lochalsh. Here we board our private coach to cross the Skye Bridge for a scenic tour on the Isle of Skye through Broadford to Portree with views to the brooding Cullin Hills, before returning to Kyle of Lochalsh and our train back to Inverness. 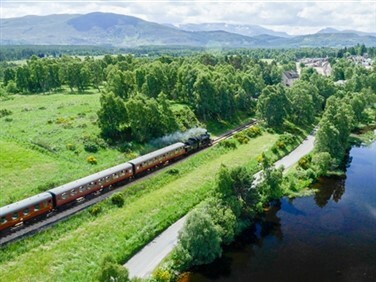 Today we bid farewell to Inverness and if travelling by train return over the mountains to Edinburgh and homeward stations. * We visit the Osprey Centre April - July when the birds are generally resident; later tour visits Ballindalloch Castle. Overlooking the River Ness, a short stroll from the city centre, this superior quality, traditional Scottish hotel has well appointed bedrooms all en-suite with hospitality tray, radio, TV and free WiFi. 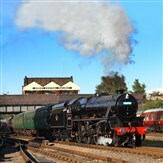 Leisure facilities include indoor swimming pool, sauna, steam room, jacuzzi and beauty salon.